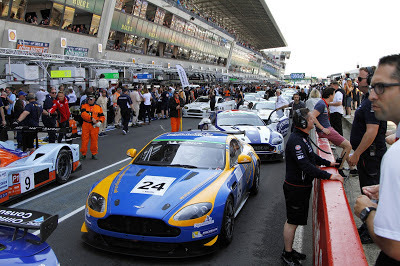 Thirty eight race cars past and present from the Aston Martin Racing collective family will return to the Circuit de La Sarthe next month for the third running of the Aston Martin Racing Festival that runs in support of the 24 hours of Le Mans. Finally announced earlier today, this years provisional entry list boasts a plethora of the marque's 'backbone' Vantage racing platform in both GT3 and GT4 format as well as examples of its predecessors in the GT1 and GT2 class. 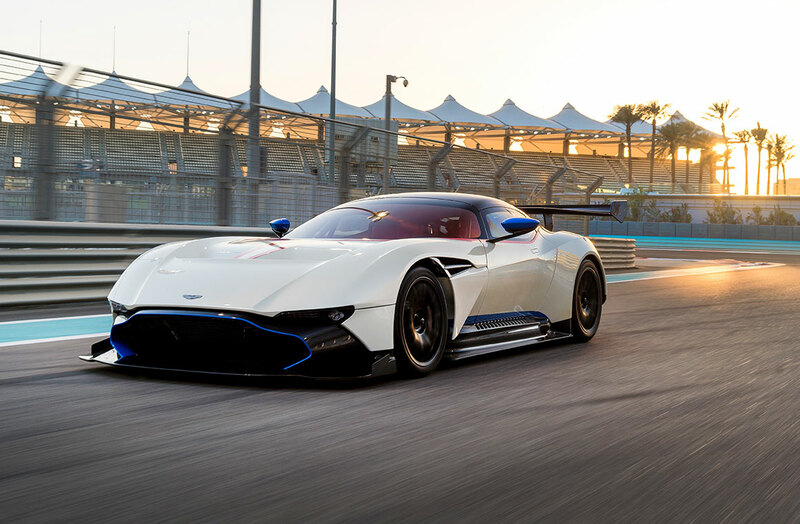 Joining them on the sacred track again will this time be two examples of the bespoke Vulcan after having only ran demonstration laps last time out in 2015. 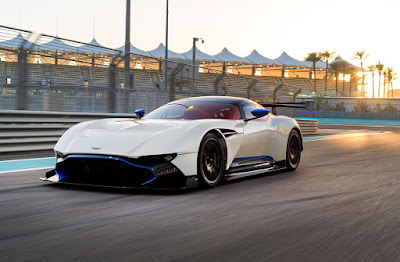 Aston Martin CEO, Andy Palmer will again lead the pack from the front (or middle or rear of the grid - dependant upon where he qualifies), a pack that will also have a number of racing household names within its midsts. They include ex. 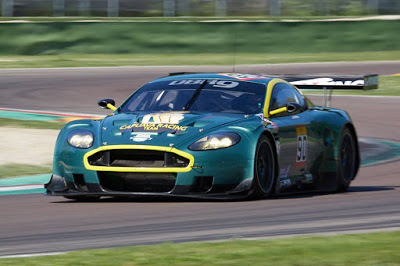 F1 racer and TV pundit Martin Brundle, Olympic cyclist Sir Chris Hoy, TV chef and now part time racer Paul Hollywood as well as a 'once in a three year' return to the race track for Prodrive's David Richards and MD of AMR, John Gaw. Other more familiar and Aston Martin Racing associated names just keep rolling off the tongue with the likes of Tom Alexander, Andrew Howard, Peter Cate, Jamie Chadwick and Jan Struve. The driver line of of Benny Simonsen and Lasse Sorensen in the #95 Young Driver AMR GTE is particularly appealing. 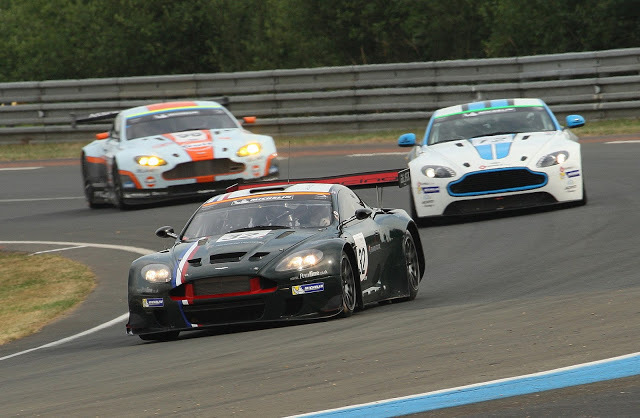 In a change to 2015, none of the drivers listed HERE will feature in the main 24 hour race. 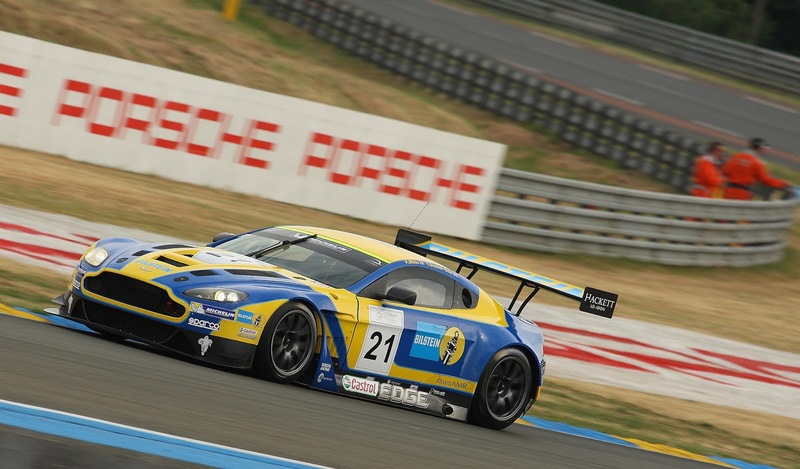 We welcome Team Brit to the big stage with their V8 Vantage GT4 in what will only be their second race in the GT class having scored an class win in their first race last week in AMOC. Racing members of the new Masters Endurance Legends series will also get their first taste of the festival - people like Alexander Lienau, owner of the Bilstein liveried Vantage GT3 who has been trying to attend such an event ever since buying the car from Paul White a couple of years ago with the car that he (White) and Tom Onslow-Cole won the event in back in 2015. Joining Lienau from the series will also be the GT1 big boys of Nikolas Ditting with Dieter and Dominik Roschmann in their DBR9's. 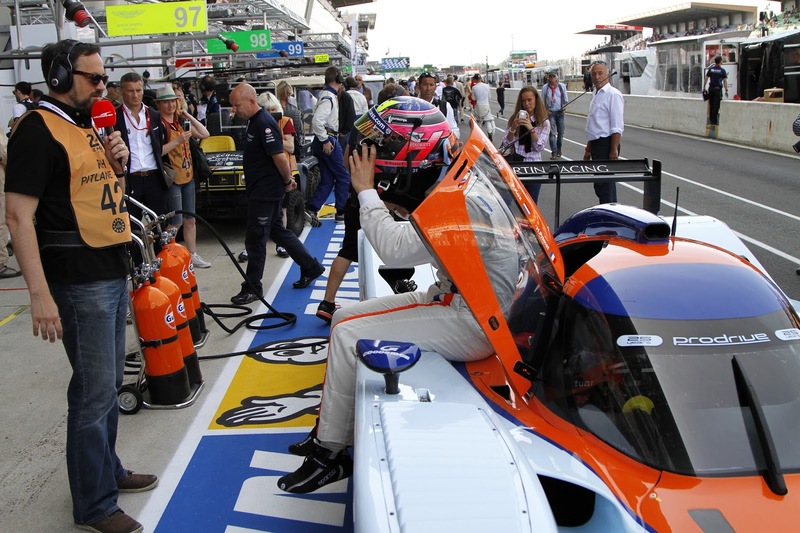 Unfortunately and despite previous comments, this time around we will not get to see another Lola P1 strutting her stuff around the circuit as Stuart Hall did in 2015 with the Rofgo Collection car - incidentally, the Rofgo Collection will not be there at all which is a shame. 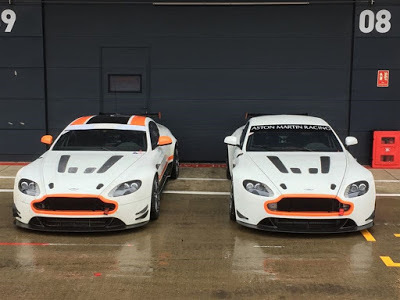 The only query regarding the event lies around one of the Whitebridge AMR GT4 cars after one of their two cars was written off in a testing accident at Silverstone at the Britcar meeting last week - that is why Chris Murphy and Adam Hatfield are racing a Ginetta in this weeks GT Cup events from Brands Hatch. 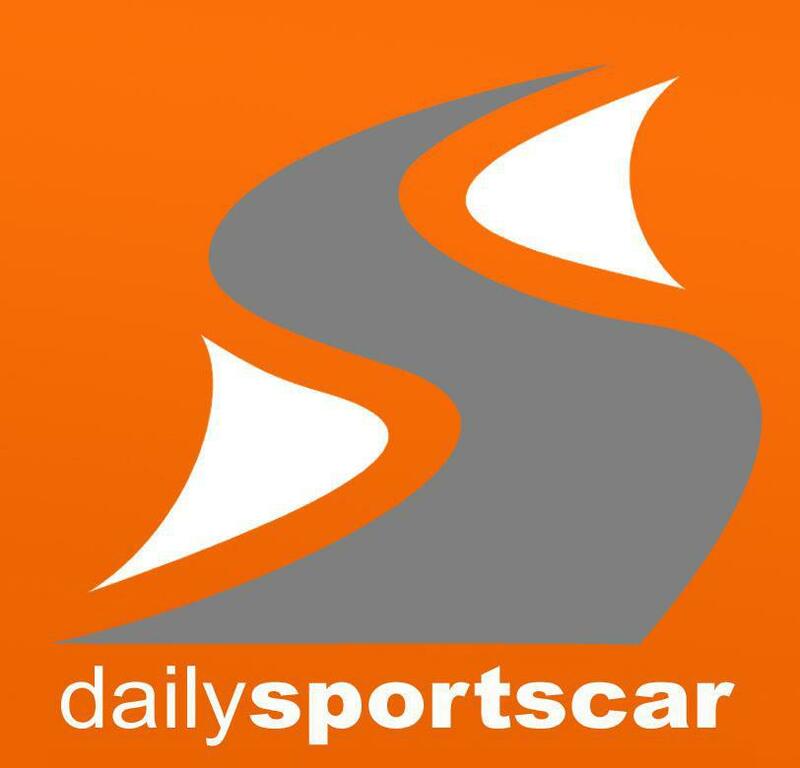 We also believe is at least five cars down as a result of the withdrawal of the TRG-AMR team from California earlier last month and the apparent no show from China! The race will take place on 16 June, at 1015 CET.